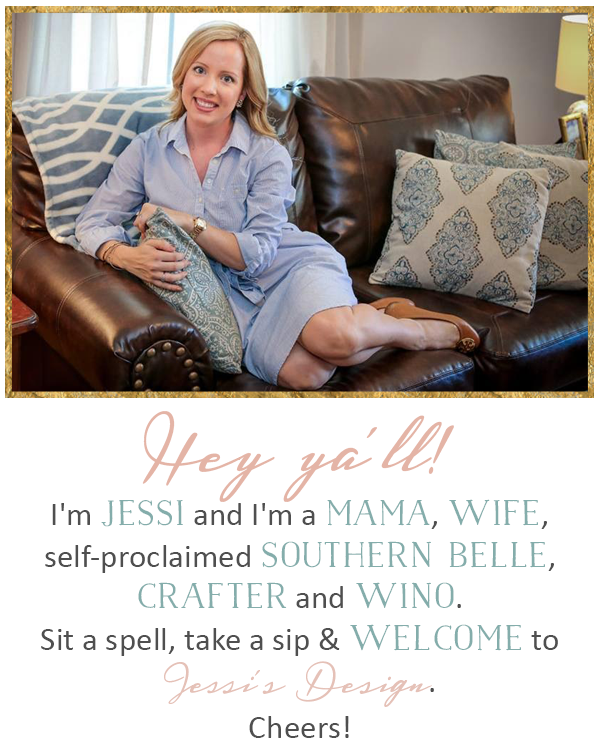 Y'all - I'm going to be completely honest and say that this post almost didn't happen. This has been the busiest week EVER and its only Wednesday. I had a training on Monday and Tuesday and although it was fabulous (7 habits of highly effective people) I only work part time so it set me way back! I also have something going on outside of work every single night this week BUT we got the backsplash in and the kitchen is 100% completed so I figured I'd do a quick share! I love the small, beveled and glossy tiles so much that its not even funny! 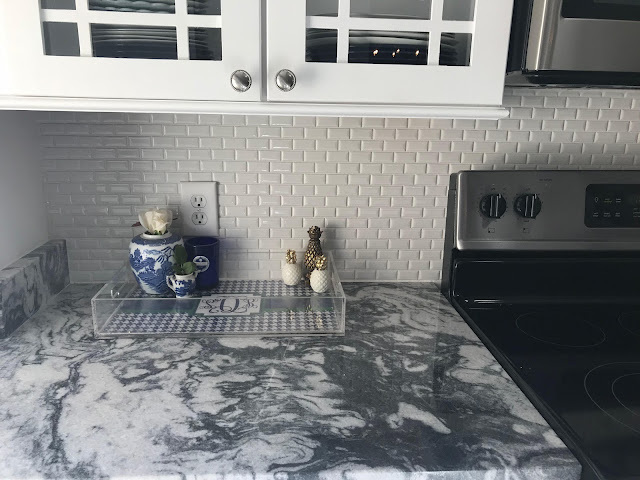 So many times we were tempted to go with a larger subway tile simply because it was available but I'm so glad we held out and ordered these! I know it is 10x smaller than our previous kitchen but I have thoroughly enjoyed this space and all the meals we've created thus far thanks to the new meal planning! The space is so bright and I love it. Also, I've decided to recover the dining room chairs and add a matching curtain panel in the dining room and I need y'alls help! 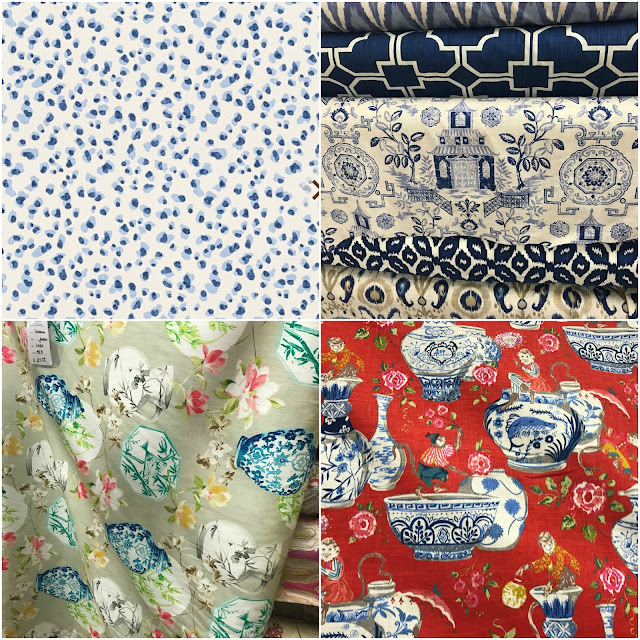 We have a fabulous fabric store here but I also have an option from Ballard Designs that I've been swooning over for ages it seems. So keep this in mind - 6 chair covers and one panel on the window overlooking the screened porch and next to the bar cart. As always, thanks for linking up with us! This link up is always the highlight of my week! Have a great rest of the week y'all! I don't think I've ever seen those mini subway tiles but I LOVE them!! Looks so so good! I'm so in love with your kitchen. those mini subway titles are everything! I hear ya about it being a crazy week! It's almost the weekend tho.. hope things slow down for ya. 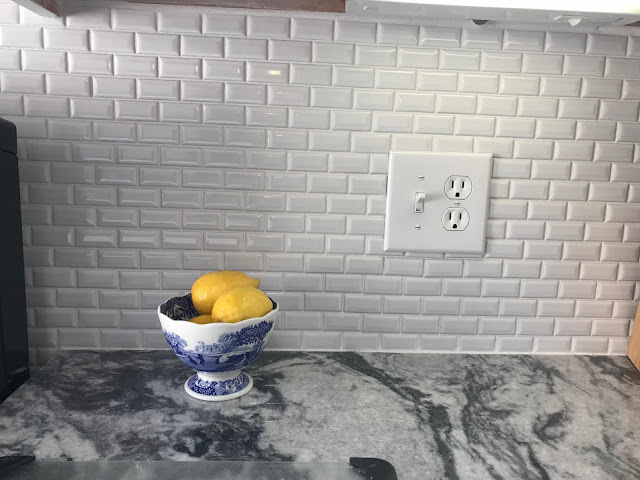 I LOVE mini subway tiles - so chic! I also think you should go with that lovely third option of fabric! I love the second one, but I think it has a bit of an Asian flair. Have a great week! The mini ones look great! 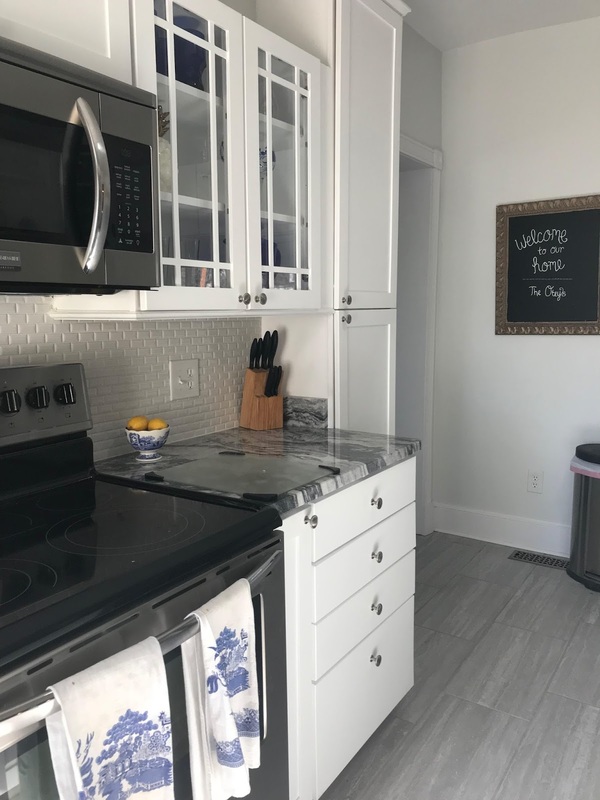 Your whole kitchen looks awesome, I really like the gray tones! So on point with that backsplash, girl. I love subway tile like no other, but the smaller version has special place in my heart. Girl, that is the backsplash of my dreams! Did you guys do it yourselves and was it hard?? I want to attempt to do ours but I'm terrified. I did that training last year and it was amazing!! The back splash looks amazing! Definitely loving the top 2 fabrics - can't wait to see it completed! Looks so great! I love the smaller tiles. I like the top right fabric best, but love them all. Have a great day! Oh i love the mini subway tiles. So pretty! It looks so beautiful! I love it! I like the top L fabric! Could go with a lot of things and colors if you decide to change anything in time? !